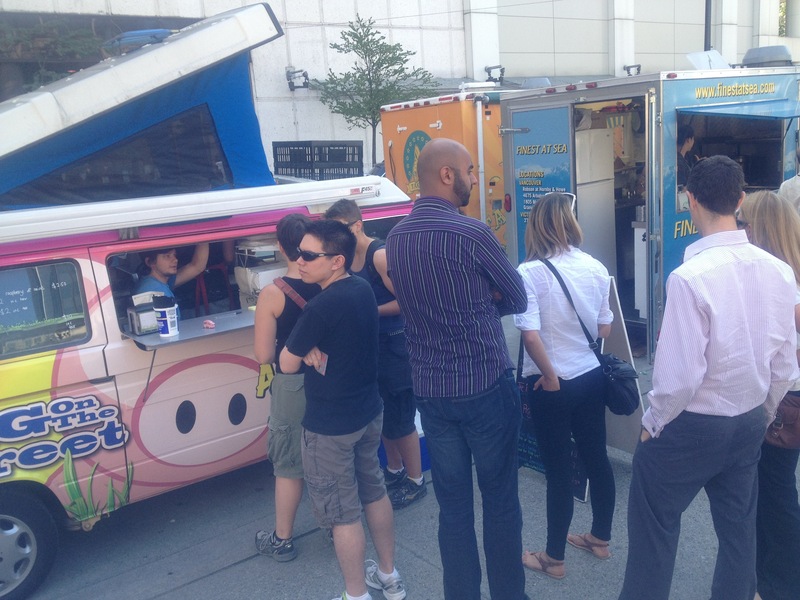 Pig on the Street – flavor Alert! A great sight is how the Vancouver street food scene is evolving and truly coming into its own. The feeling in the downtown core is fun, vibrant and bustling with foodies searching for their favorite treat from any number of the popular food trucks. It is hard to believe that many of these trucks / carts are still so new. What’s more is that it is exciting to see what a following that they have already established. Do your self a favor and get out and try one of the great food trucks throughout the downtown core. now back to Pig on the Street……. Today’s flavor alert update includes a Chef Krissy special…..
or contrasting balance of sweet and savory. They will also mention textures…. This sandwich has it all…. Creamy, smooth…. 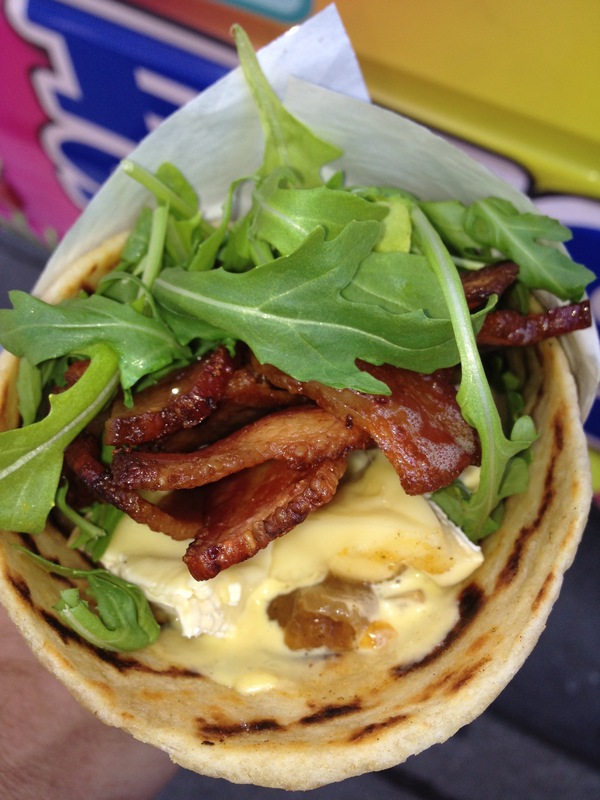 Crunchy, all on a perfectly soft flatbread….. And sweet combined with savory and slightly bitter coming from the arugula. People are definitely coming in droves to search out the flavor of the day! You will be in heaven with each bite…. Get out and try something new and marvel at the culinary wonders that come from a cart or a truck….. It all relates back to the people which are the heart and soul of what they create for us. I know one thing for sure, the foods are mostly unique and fire up your taste buds…..
Posted on August 17, 2012, in Food glorious food from the heart and soul, Vancouver street food and tagged The culinary adventure continues. Bookmark the permalink. 1 Comment.